A mindfully crafted Service Level Agreement (SLA) is an expression of your commitment to quality, service, and your relationship with your clients. SLAs are kind of like an owner’s manuals, they let your clients know how you operate, and what to expect under your agreement. Seek help. Unless you’re already an expert in contract law, you should strongly consider enlisting legal help when drafting your SLA. Template contracts may be simple and inexpensive, but they can be costly down the road. An attorney experienced with MSPs can help draft an SLA designed specifically to the details of your services. Be realistic. Don’t write a check with your SLA that your MSP can’t cash. While it might be tempting to offer dazzling response times and 24-hour service, but if you aren’t able to follow through, you’ll most likely find yourself in breach of contract. Set standards that are within your capabilities, that way your super-natural response times are a bonus, rather than an expectation. Your integrity is on the line. Your SLA isn’t a rhetorical sales device, it reflects the soul of your company. Agreements with your clients should be transparent, easy to understand, and binding. Don’t neglect your staff. Every member of your staff involved in providing services to your clients should understand the details of your SLA with each individual client. This reduces the potential for customers to feel as if your company is unorganized and not going to live up to your agreement, while at the same time boosting employee performance. Be specific. SLAs are where you identify the details. 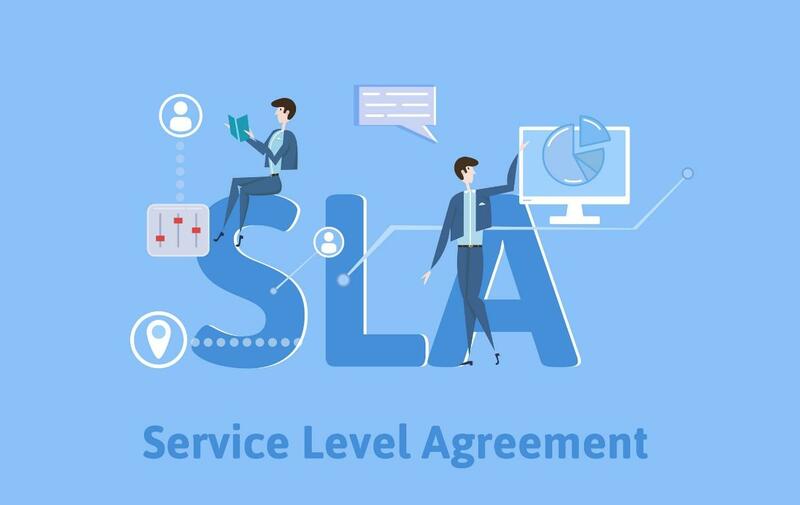 Every aspect of your relationship from payments to the execution of services and the limits of those services should be clearly defined in your SLA. The goal of an SLA is to essentially create a reference point that serves as the basis of your relationship. Hold-harmless clauses. As much as we all like to ensure success throughout every step of the process, there are always aspects that simply aren’t within our control. Hold-harmless clauses ensure that you can only be held responsible for circumstances within your sphere of control. From transparency to execution, your SLA is another way of proving your value to your clients. However, it’s only the foundation. For more information on how to make your business indispensable to your customers, check out our blog, “7 Ways to Show Your Essential ROI to Customers”.